I don't know what it's been like for you, but at our house, 2009 has been quite a year. In January, my husband's heart was in atrial fibrillation. In February, my husband had major open-heart surgery. In March, we helped to start a new church. 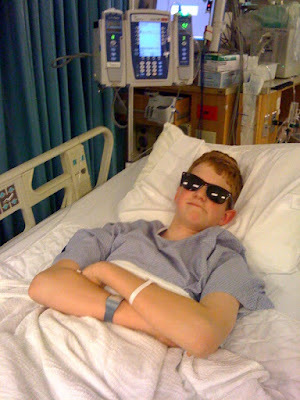 In April, my youngest son had an emergency appendectomy. In May, I started blogging again. Thank God! In June, my oldest son graduated from high school. In July, my husband started a new business. In August, my oldest son went off to college. In September, my middle son got his driver's license. In October, my middle son went on his first college search trip and ordered his class ring. In November, my husband had the swine flu and we hosted friends for Thanksgiving--though thankfully not in the same week. In December, my youngest son went to his very first school dance. At that point, he was feeling no pain. These are just some of the highlights, of course. Kind of like what I'm going to have to add to my hair if it keeps turning gray at the rate it did in 2009. Honestly, of all the things listed above, my starting blogging has been one of the very best parts of this year for me. I'm so glad to have met you, my blogging friends. I love visiting your blogs and I especially love getting comments from you. Hearing from you really IS a highlight for me! Blessings to all of you for a wonderful new year! sounds like quite a year! bless your heart! i feel the same as you, i love visiting one another's homes through blogging, and sharing our lives with one another, it has been a GREAT experience for me as well. Hope 2010 brings you lots of well deserved blessings!!! You've had some year, that's for sure. I am ready to put 2009 behind me and start anew. Yes! I'm so glad you started blogging too. I enjoy your blog very much. :) Happy New Year! Here's to a great 2010! I just wanted to tell you how much I have enjoyed reading your blog this year. It was really nice to meet you in person at Nester's Swap Meet. Hopefully, we will have other opportunities to meet again the future. Praying God's richest blessings for you and yours in this next year. Oh, honey!! What a year for you and your family. I sure hope 2010 brings no major illnesses. I am thankful you started blogging,too! Your life is like a soap opera! Or, like one of those characters in the Bible, two ways to look at it, right? Quite an eventful year, but the Lord has brought you safely through it all, hasn't he? I too am so glad I discovered your blog, and come regularly for my dose of joy and inspiration from you. Here's to a blessed 2010 for you and all the family. You had a very exciting year. Maybe not always in a good way but exciting never the less. We had a rough six months because of a job transfer but I am hoping 2010 settles down and is more enjoyable. Happy New Year. Never a dull moment! What a year you've had. I hope 2010 is a good year for you and your family. Filled with fun, good health, and many blessings! Reading your blog has been a highlight to my year, too! Many blessings to you in 2010! I'm tired just reading it. And I'm smitten with the blog world. And beautiful people like you. Happy Calmer New Year ! happy new year richella... one of the highlights of my year is meeting you! Wow! What busy year full of surprises it sounds like. :) I hope you have a wonderful 2010! Yes, the comments feed my spirit, too! And there's no way I'd deny you of that. 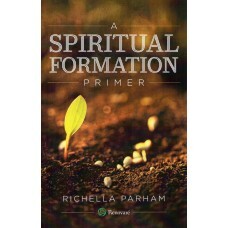 Do you know that today as soon as I read your name ...Richella...that I immediately said @ Imparting Grace?! Hooray! You've been branded in my heart. Here's to a calmer 2010! Our children are close in ages, so we have been through similar transitions. I can relate to you! Best wishes to you and yours in 2010! My year was crazy just like yours. So crazy that I don't dare look back at it! You are brave to recount it all here. Happy 2010 to you and your family! You are one of my favorite blogs...I love it that you are here...I visit often to be refreshed :)! Quite a year you've had there. Hopefully 2010 will bring wonderful things for you. A full year for sure. I'm glad I found your blog -- you always have something beautiful to offer. good thing you started blogging...with all that to process...that was a big year! Great year in review! Wow, the men in your life sure do keep you on your feet, or better yet, on your knees:) Happy 2010!